Dog Ear Publishing releases “The Place Called Skull” by William O’Malley. The entire world now knows the truth about Hitler’s ambitious and diabolical plan to eliminate the Jewish populace of Europe, but fewer know of his desire–once the war ended–to “crush the Catholic Church like a toad”. 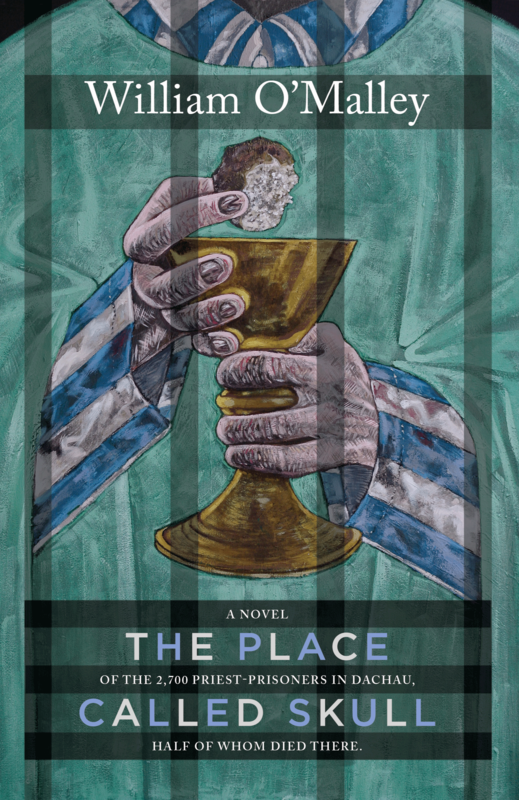 This new fiction release by author William O’Malley is the story of Paul Reiser, who worked tirelessly against the Nazis in the Catholic underground movement that started in the 1930s and was imprisoned as a seminarian with nearly 3,000 others, half of whom died in the camp, victims of medical experiments, slave work, starvation, and typhus. Young Paul Reiser was proud of his German Catholic heritage, but understood the inevitably devastating effect the Nazis would have as they steadily encroached on religion, especially with the very young. Paul decided that the best way to positively influence the innocent was to become a priest, serving the helpless and the hopeless. While recuperating from tuberculosis, Paul was arrested by the Gestapo only months before his ordination as a priest. He found himself first in Sachsenhausen then with all the prisoner clerics in Europe in Dachau. As Paul struggled to survive, he asked himself continuously if it was worth it. Was his faith strong enough to endure the rigors of the work camp where prisoners were rented out as slaves to war industries? Should he simply renounce Catholicism and make his way back to his family? Could his love of God overcome every human being’s yearning to survive? Nietzsche wrote, “Whoever has a why to live for can endure almost any how.” What was their “why”? For additional information, please visit www.ThePlaceCalledSkull.com. Dog Ear Publishing releases “A Long Way From Paradise” by Bruce C. Brown. 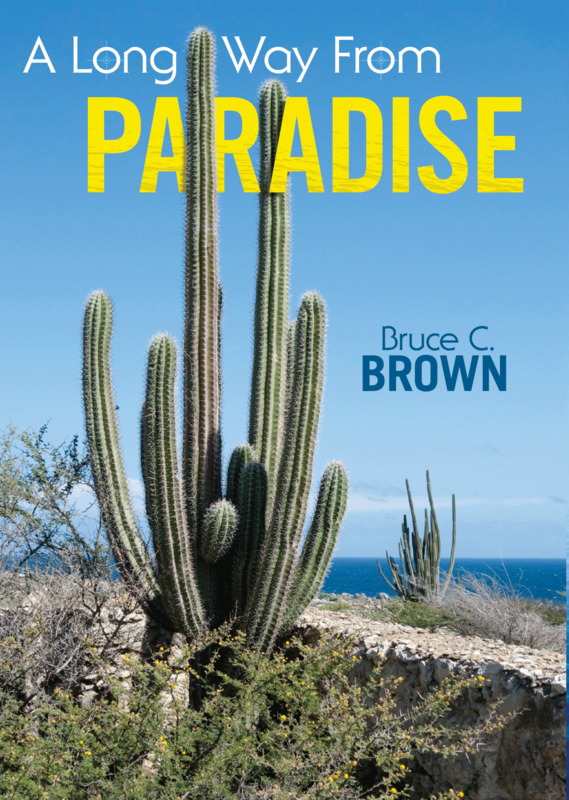 A freelance journalist writing a feature about his freediving friend finds his trip derailed by smugglers who will not hesitate to kill in order to keep their product safe in this new fiction novel by Bruce C. Brown. Readers will not be able to put down this nonstop thrill ride that will leave them eager for more. Journalist Richard Logan is looking forward to a working vacation writing a feature about Chris, an old friend and freediver in the Sea of Cortez. Richard can’t wait to dive with his army buddy, despite the less-than-ideal company in the form of a blow-hard executive R. Paul Jennings and his entourage. However, Richard manages to overlook the worst of Jennings’ unpalatable behavior when he meets Cheryl, R. Paul’s beautiful sister-in-law. The two start to become closer, but their growing intimacy is interrupted when the holidaymakers come across a burned out boat with seriously injured passengers who were not what they appeared to be. All too soon, the people responsible for the injuries on the nearby vessel board Chris’s ship, and it’s immediately apparent that the low-key dive trip has warped into a nightmare of lethal weapons wielded by dangerous individuals who will stop at nothing to protect their own nefarious interests. Can the military training Richard and Chris received help them to keep the innocents on board alive? Can they keep themselves alive? Or will the evildoers eliminate the opposition before help arrives? A Long Way From Paradise is by turns thrilling and terrifying, and Richard Logan is the kind of hero one would want to have on board in a tight situation. Readers will enjoy the non-stop action from start to finish. Author Bruce Brown drew upon his own personal diving and sailing experience to create an authentic seaside setting. Brown studied Asian history at University of Southern California, and has written four nonfiction books. This is his first novel. For additional information, please visit www.Bruce-brown.com. 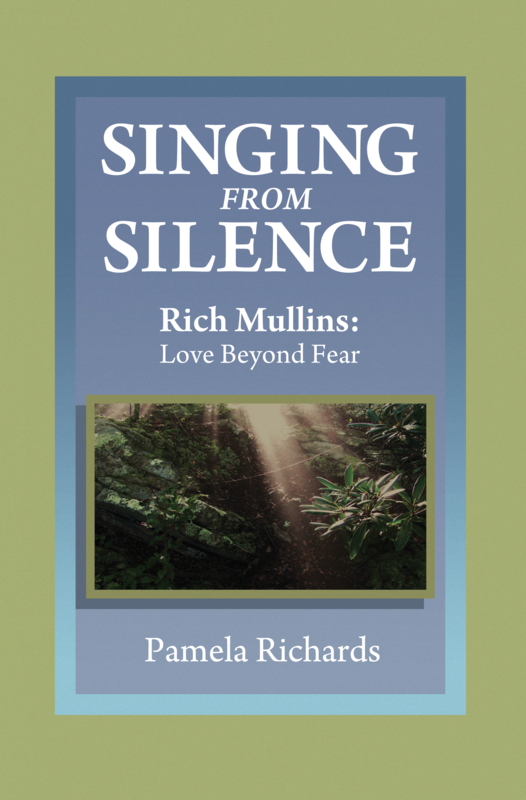 Dog Ear Publishing releases Singing from Silence, Rich Mullins: Love Beyond Fear by Pamela Richards. An artist shares her experiences with close friend Richard Mullins, a devout Christian with amazing musical gifts, in this new memoir released by Dog Ear Publishing. Love, life and art mesh in Singing from Silence, a true story of two eighteen-year-old freshmen who both attended Cincinnati Bible College. In 1974, an idealistic musical genius with an admiration for St. Francis of Assisi and an unbelieving artist with a rebellious streak forged a long-lasting friendship that gave rise to some of the best-loved songs of Contemporary Christian music. Richard Wayne (Rich) Mullins, a gifted musical visionary, has been compared to a modern-day prophet. Best known for his song “Awesome God,” by his own account, he learned to play hymns on the piano in four-part harmony before he could speak. He studied classical piano in elementary school, accompanied a traveling youth choir in junior high school, and performed his original songs while touring with a singing group in high school. His songwriting derived from his life experiences as he opened his heart to touch the lives of his listeners with his music. Yet as talented as he was, Richard Mullins faced the very human challenge of needing to be loved despite his weaknesses, not because of his God-given genius. When he performed, he bonded with an audience blind to his flaws. As a result, he was never satisfied with their admiration. Instead, he engaged in a personal quest to find the unconditional love of God demonstrated in his own life. In the end, by the grace of God, his life became an example of God’s unfailing love. The author, Pamela Richards, describes conversations and incidents from their friendship which appeared in many of Richard’s songs. She considers their friendship a very special gift. She tells her story to share that gift with others. Pamela learned from Richard that not only can a creative gift be shared, it can keep on giving. Richard Wayne Mullins was known for his generosity with his talents. He earned millions through his music, but he deliberately limited his personal income and gave the rest to charity. Step by step, the author hopes to follow in the pattern he has set. Watch her website for more details. Dog Ear Publishing releases “Once Remembered” by John Yantis. A 50th class reunion leads a man to remember his life in the small town of Howard, Kansas – a time when he was falling in love with a new girl in town who stirs up bigotry simply for being different. This new novel released by Dog Ear Publishing gives readers a glimpse of high school, young love and small-town 1950s Kansas. Living in a small town has its challenges, especially when love is in the air. When Tommy John Watson and Maria Gonzales fall in love in a small Kansas town in the 1950s, their ethnic differences cause obstacles for them and for others. Things get even more complicated when Orval, Tommy’s farming father becomes the sheriff. 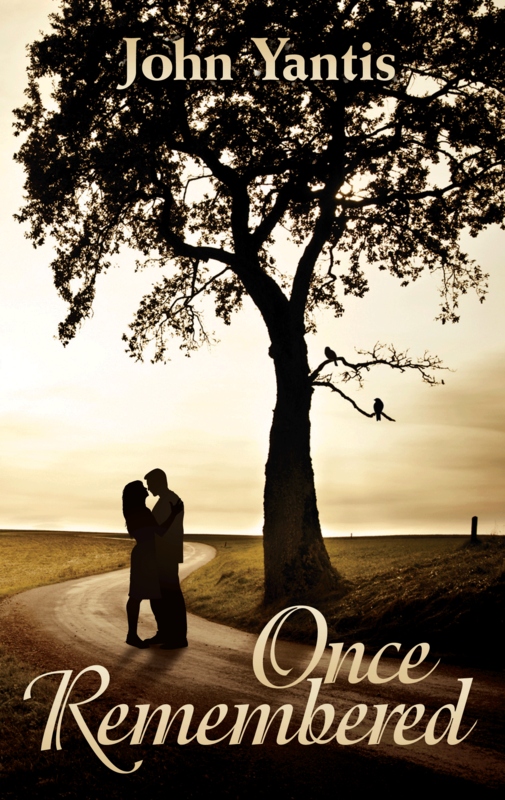 Told in flashbacks, “Once Remembered” paints a picture of small-town America with its descriptions of everyday life on a farm, high school sports and small senior classes – including Maria, a beautiful girl who is new in town. Although many people are welcoming, some are anything but. A deliberately set fire destroys Maria’s family’s garage and car, and the community rallies to help them buy a new car. The fire, however, has devastating effects beyond a burnt vehicle and tragedy strikes a classmate. The hatred and fear escalate when a small group of hoodlums from town joins with an out-of-state hate group determined to make its point. Orval has more than he bargained for when he agreed to step up to enforce the law and must find out who’s responsible for terrorizing the Gonzales family. Maria, meanwhile, acts compassionately even in the face of small-town bigotry and mistrust for someone who is different. Tommy John soon finds himself head over heels with the brunette beauty and her even more beautiful heart. The book resonates with this fictional – but compellingly realistic — description of life in the 1950s. This is the second novel for author John Yantis, who grew up in Kansas and worked there as a teacher, coach and administrator. He wrote numerous articles for professional journals as a university professor and dean after moving to Michigan. For additional information, please visit www.jybookstoday.com. 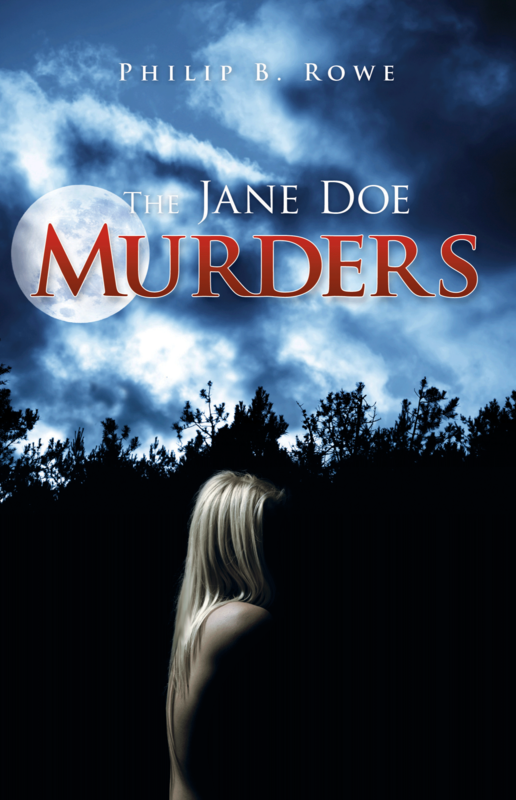 Dog Ear Publishing releases “The Jane Doe Murders” by Phillip B. Rowe. A businessman turns to violence in his frustration following his wife’s senseless murder. This new release from Dog Ear Publishing takes on a life of its own as the formerly sensible family man becomes twisted by his desire for revenge. Discovering his wife Leigh has been shot and police can’t seem to find the killer sets off a chain-reaction in Ken Wise, a successful businessman and father to twin girls. It’s the first murder case for police detective Ian McCord, who turns up only a witless accomplice to the crime in this riveting new thriller. That’s not enough for Ken, who begins to stalk, torture and kill his own suspects in the case to get revenge. “The Jane Doe Murders” follows Ian’s investigation and Ken’s obsession with finding the killer, who he’s named Jane Doe for being elusive, mysterious and cunning – an unknown woman. Assistant District Attorney Sandy Hopkins helps put the accomplice, drug addict Deidra Klein, behind bars for her role in the case, setting off a potential political time bomb when Deidra takes desperate action in prison. Ian, armed with little more than a police artist’s sketch and his intuition, continues to search for Leigh’s killer. He’s got a big problem, however, because women keep turning up dead. The story turns into a race against time. Can Ian solve the case before Ken kills again? Author Philip Rowe, who has been certified and licensed as a private investigator, writes full time. He is a successful entrepreneur with experience in technology companies, Thoroughbred breeding and racing, and other small businesses. For additional information, please visit www.rowebooks.com. Dog Ear Publishing releases “Dead On Arrival” by Roger Royse. Every year, hundreds of new companies are founded with high hopes for profitability and years of success; unfortunately, most of these companies are disbanded before their first anniversaries all due to a lack of knowledge about the legalities related to business. Author Roger Royse, a successful lawyer with years of business and tax law experience, has released a must-read book, “Dead on Arrival: How to Avoid the Legal Mistakes that Could Kill Your Start-Up” to help every start-up company avoid the mistakes that can sink their fledging business. After years of practicing business and tax law, Roger Royse is familiar with nearly every eventuality that can befall a new business. From the dangers of “do-it-yourself” legal solutions to the different options available for capitalization, Royse walks business owners through each step of ensuring that their company will continue to be viable for years to come. Each easy to follow chapter gives business owners another vital piece of information that can make or break a newcomer. 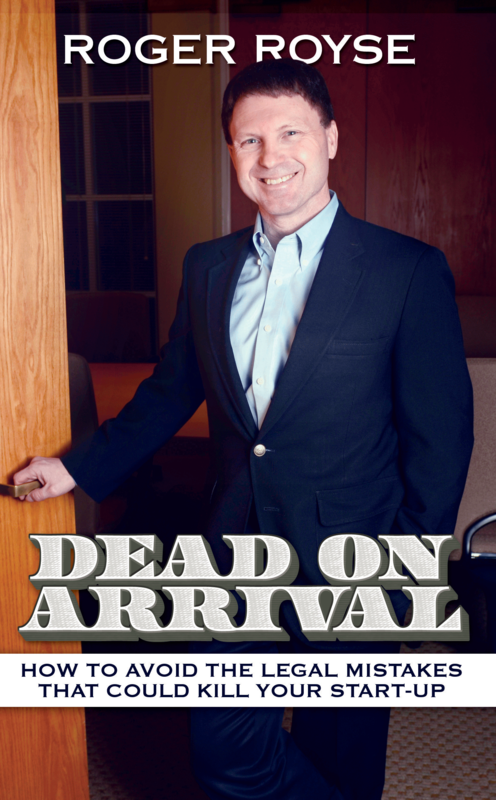 “Dead on Arrival” uses real life scenarios designated to walk a novice through any potential problem that could arise in the course of launching a start-up. Author Roger Royse is the founder of Royse Law Firm, a business and tax law firm in California; Royse has practiced law for nearly three decades, assisting clients affiliated with a number of industries. Royce has served as an adjunct professor at Golden Gate University, and he serves as an advisor to domestic and international startup and emerging growth companies on formation, financing, and exit planning. About Dog Ear Publishing, LLC: Dog Ear Publishing offers completely customized self-publishing services for independent authors. We provide cost-effective, fast, and highly profitable services to publish and distribute independently published books. Our book publishing and distribution services reach worldwide. Dog Ear authors retain all rights and complete creative control throughout the entire self-publishing process. Self-publishing services are available globally at http://www.dogearpublishing.net and from our offices in Indianapolis. Dog Ear Publishing – self-publishing that actually makes sense. 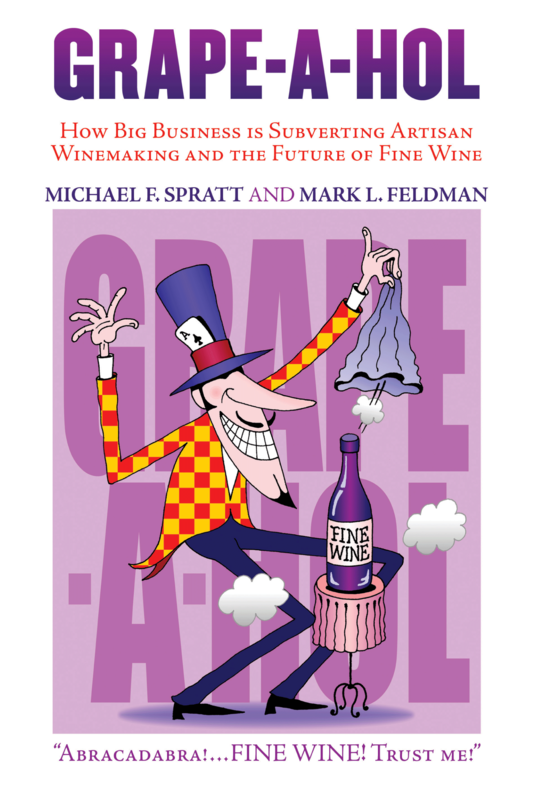 Dog Ear Publishing releases “Grape-a-Hol: How Big Business is Subverting Artisan Winemaking and the Future of Fine Wine” by Michael Spratt and Mark Feldman. Industry insiders present their evidence that the line between bulk wine and fine wine has become blurred. In this new release from Dog Ear Publishing, the authors work to promote the craft of artisan wine making, showing how it differs from its mass-produced counterpart. Wine is big business in the United States – the largest wine market in the world – with a projected retail value of $4.4 billion in 2012, note the authors of this new book exploring how wine is marketed and sold. Even as the retail value of wine has gone up, the number of U.S. distributors has declined in the last 20 years from about 7,000 to 700, according to Stonebridge Research Group, with just more than 80 percent of all shipments coming from the 10 largest wine companies. With numbers like that, it’s easy to see how small artisan winemakers face unprecedented challenges in the U.S. market and worldwide. In “Grape-a-Hol: How Big Business is Subverting Artisan Winemaking and the Future of Fine Wine,” two industry insiders explore the impact of large, multinational mass production of wine on the fate of small artisan winemakers globally, particularly in New Zealand, where they operate a winery. The book’s title features a term the two coined to distinguish fine wine from “grape-a-hol,” a beverage mass-produced by factories from fermented grape juice and passed off as a substitute for fine wine. In the authors’ view, wine “must be worthy of the expectations and inquisitiveness of the people consuming it,” something they say artisans winemakers take to heart. The book, divided into a series of essays, features hot-button chapter titles such as “The Plonk That Launched a Thousand Ships,” “Carnival Tricks,” “Brand Burning in the Supermarkets” and “Claptrap about Closures,” a discussion on corks , screw caps and plastic closures. Perhaps the most unusual entry is the chapter “Harry Potter Has Nothing over Biodynamics,” which features a description of biodynamics, a method of organic farming that uses observance of lunar phases and planetary cycles, as well as incantations and substances prepared by ritual to produce better grapes, wines and marketing. The authors cover everything from bulk shipping to offshore bottling, unscrupulous marketing, wine industry parasites and reduction of consumer choice, offering their own solutions to preserving the craft of making fine wine. Author Michael Spratt, founder and owner of Destiny Bay Vineyards, is a founding member of The Specialist Winegrowers of New Zealand. He is president of the Waiheke Winegrowers Association and director of New Zealand Winegrowers. He has a Ph.D. in psychology from the University of California at Barkeley. Author Mark Feldman, CEO of Destiny Bay Wine Imports, has experience as a U.S. importer and distributor of New Zealand’s highest rated artisan wine. He has a Ph.D. in communications from Northwestern University and has been instrumental in marketing Destiny Bay Vineyards since its founding in 2000. This is the second book the pair has written. Their first, “Five Frogs on a Log: A CEO’s Guide to Accelerating the Transition in Mergers, Acquisitions, and Gut-Wrenching Change,” has been printed in five languages. For additional information, please visit www.grapeahol.com.